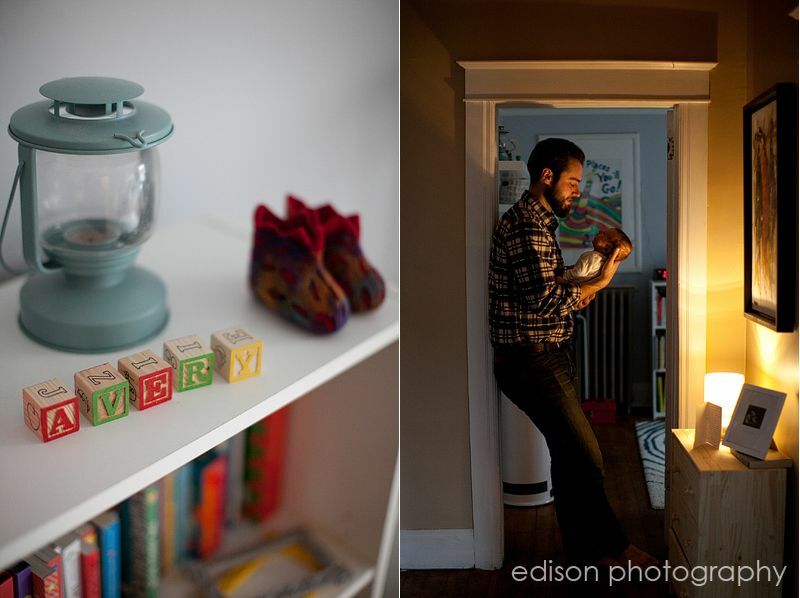 I’ve known Deb & Oliver for a number of years – and loved documenting their rain filled engagement session and amazing outdoor wedding celebration (complete with swing dance lessons!) 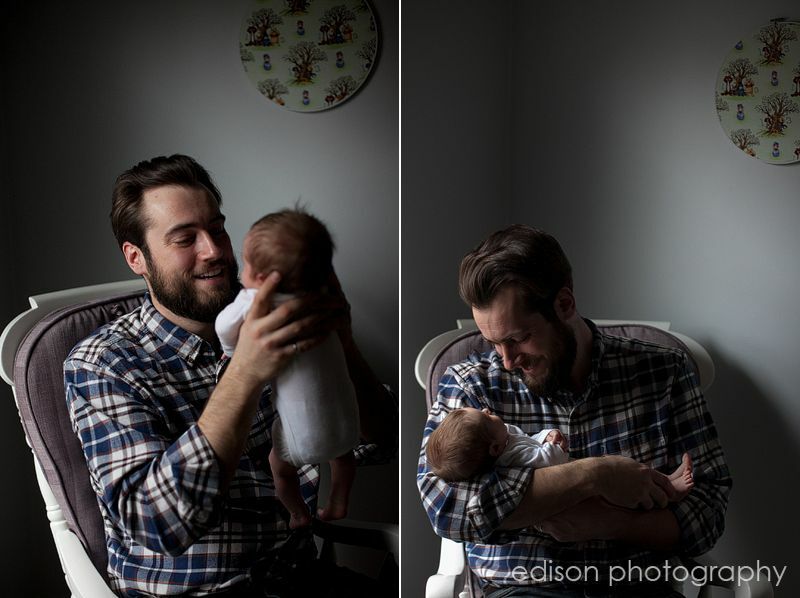 over the years. 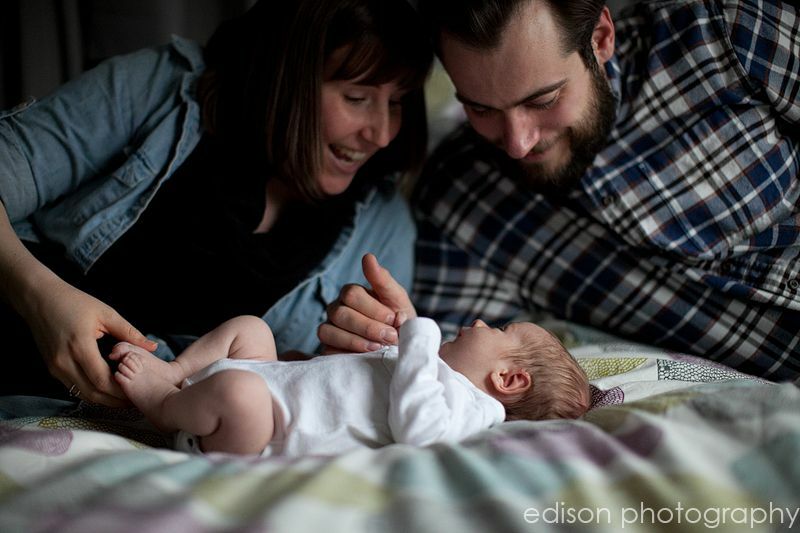 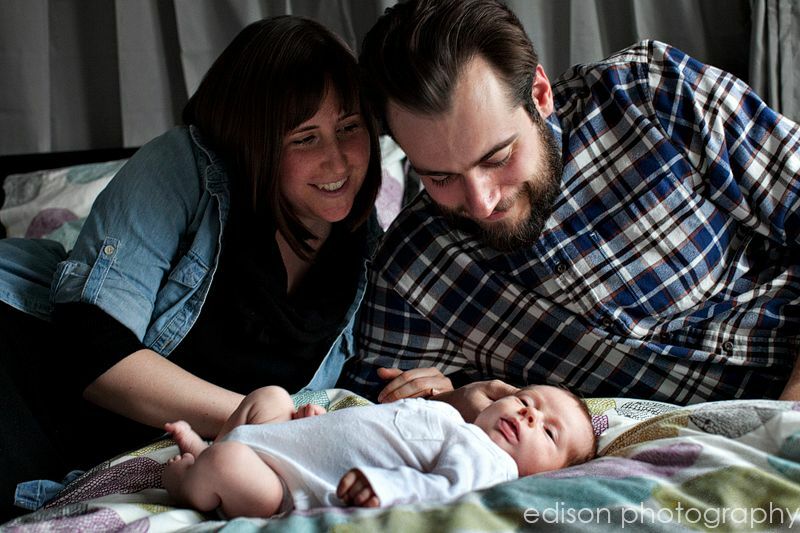 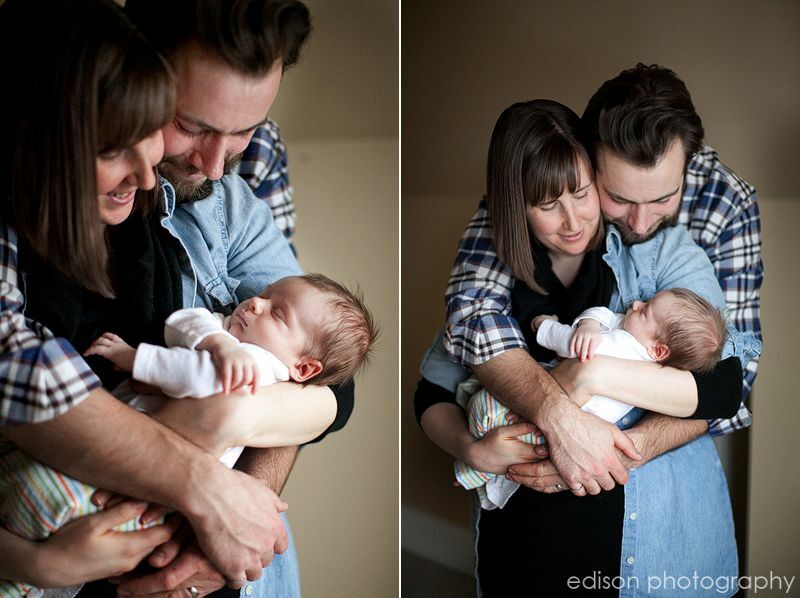 So when I got the call that they were now parents and wanted to document their new son Avery – I was so excited! 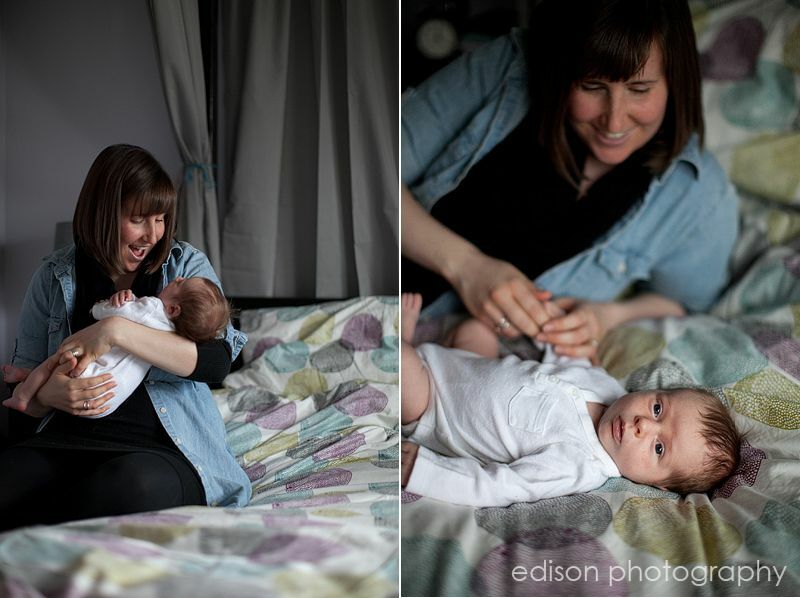 I knew these two would be naturals as parents – as well as a lot of fun! 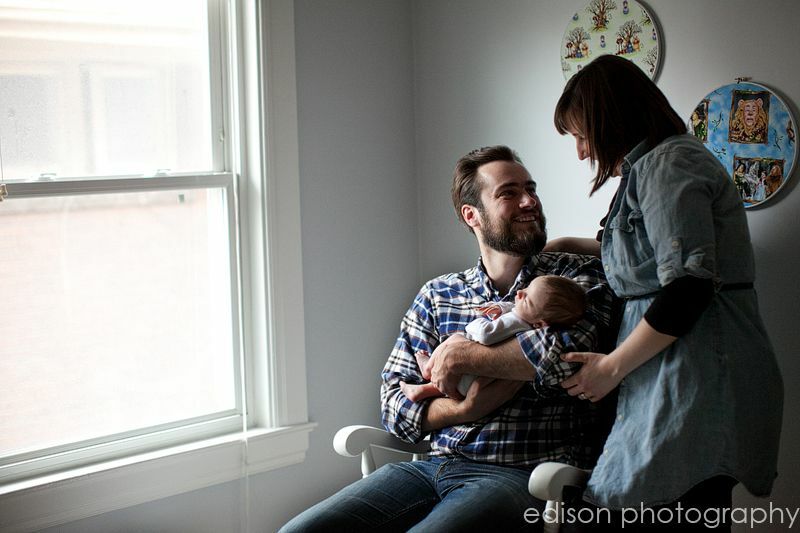 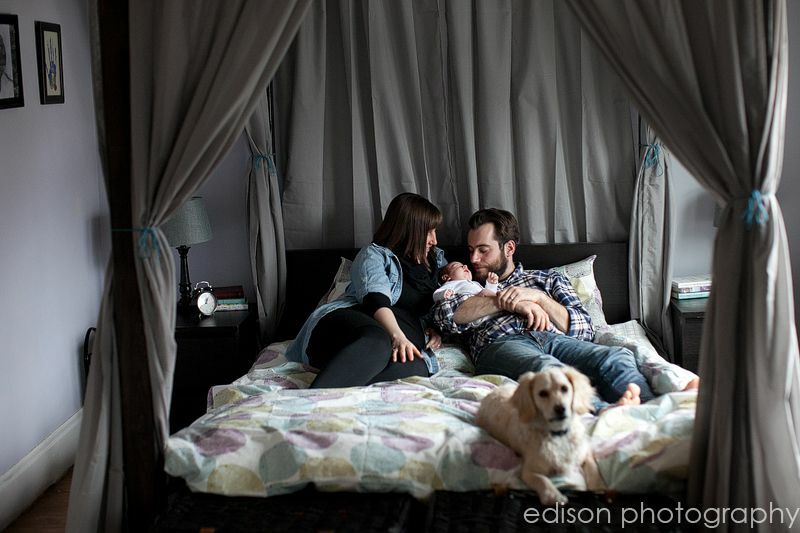 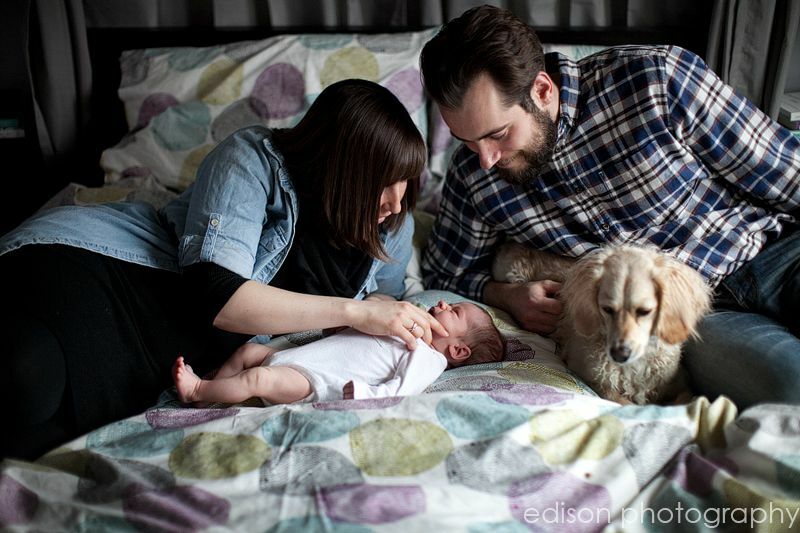 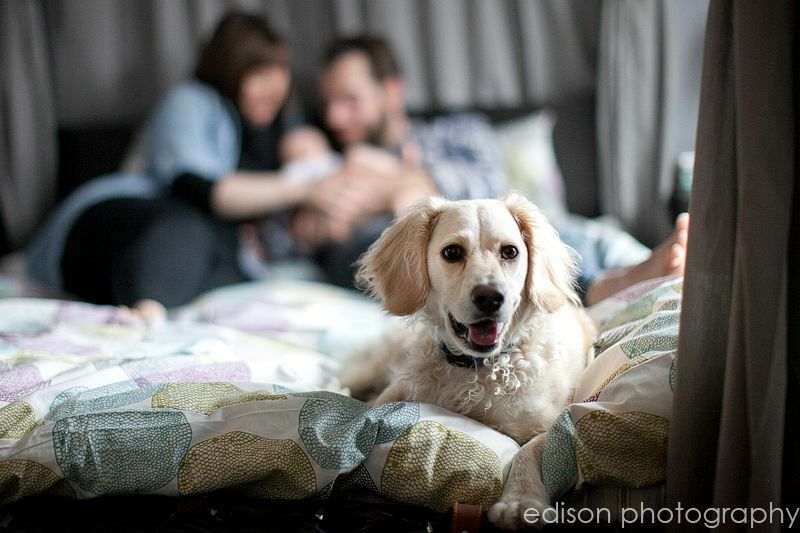 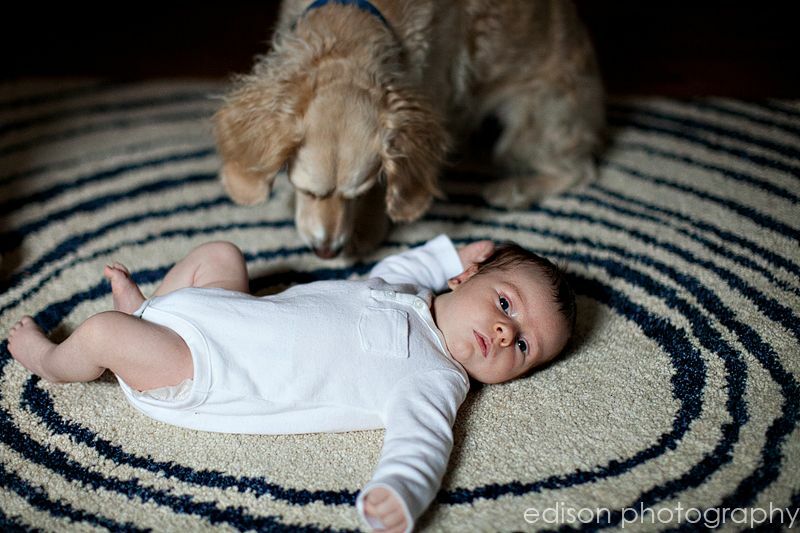 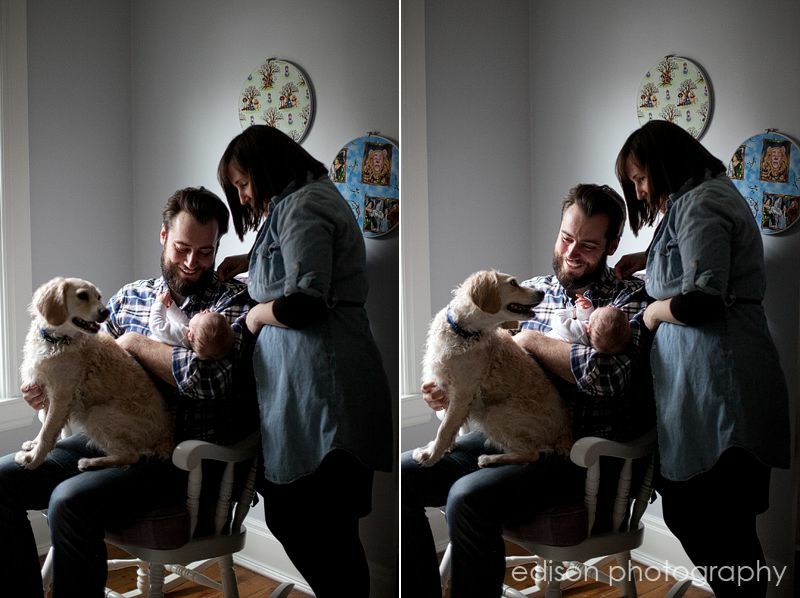 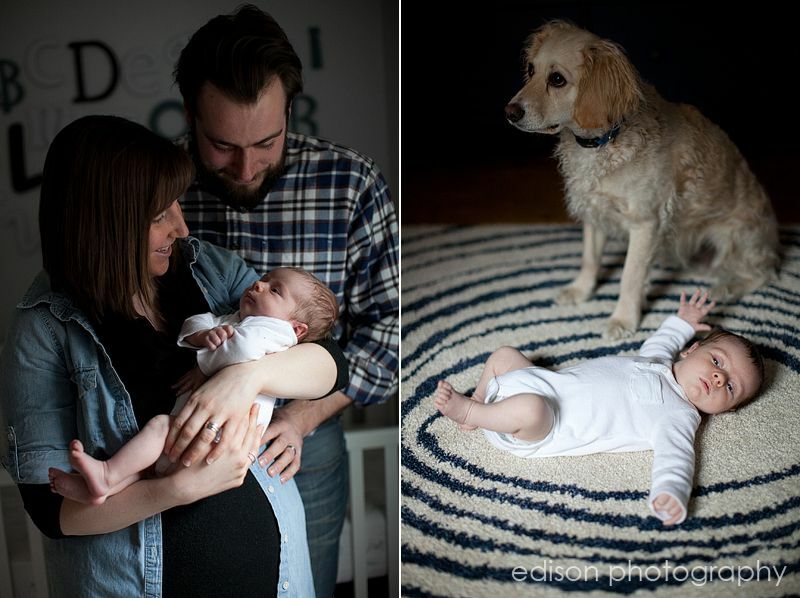 It was fun to catch up with them and their dog Theo in their home and document this new family addition. 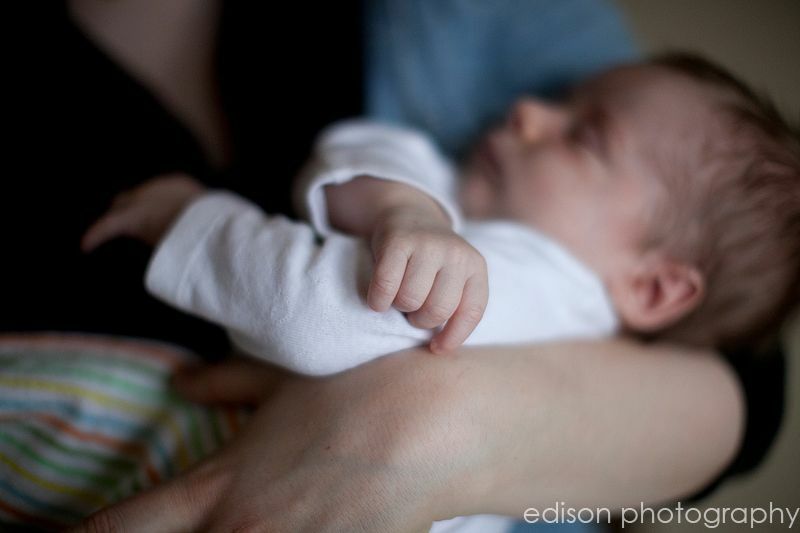 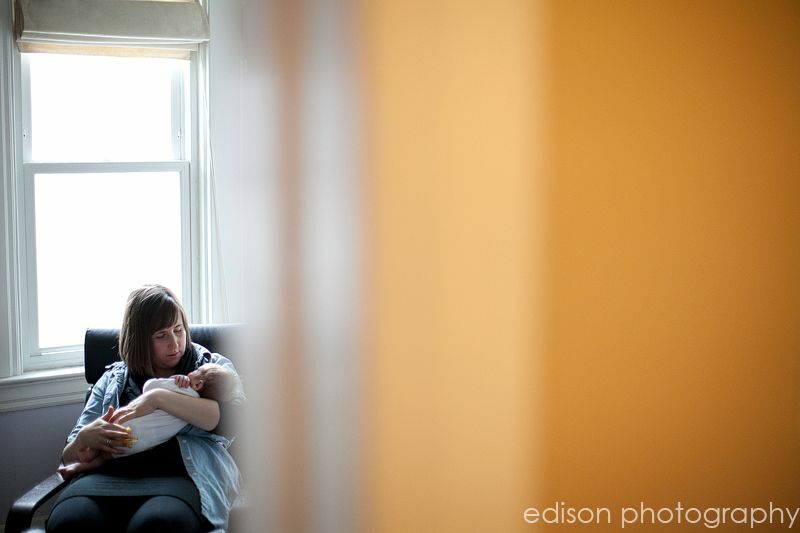 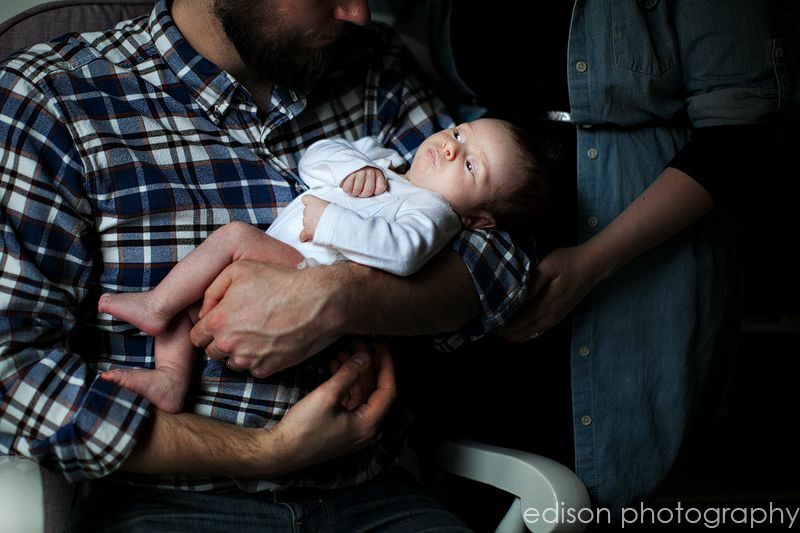 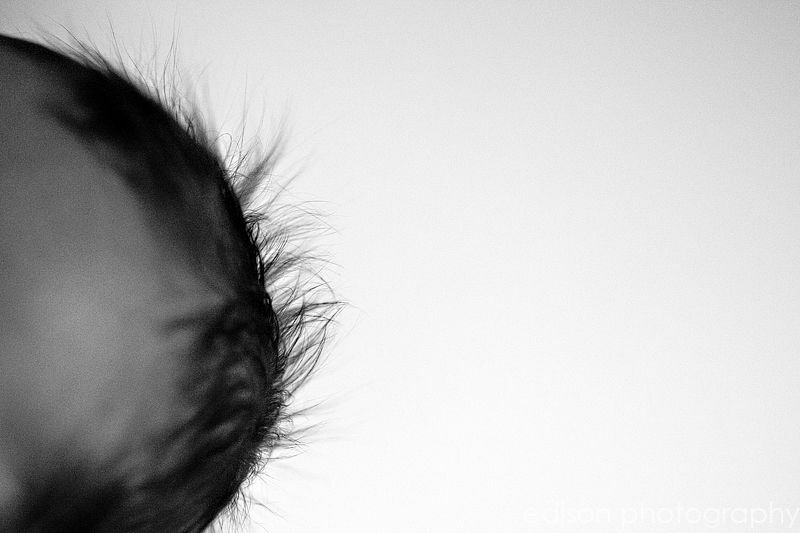 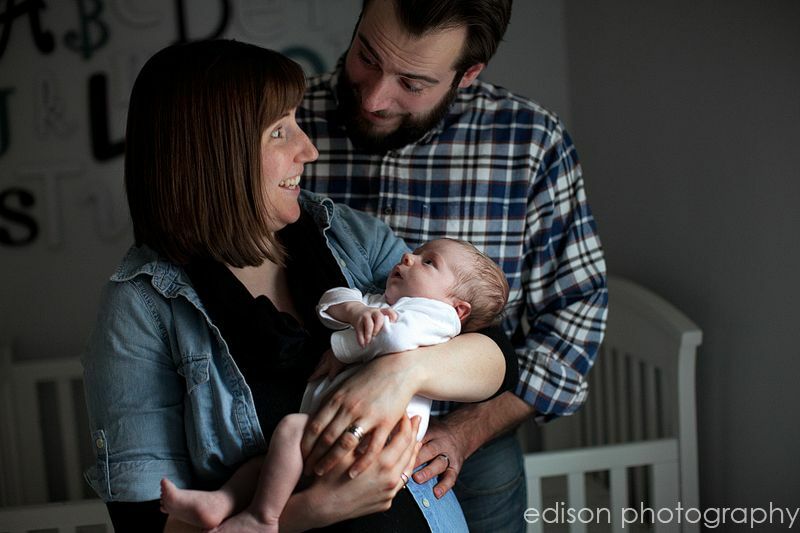 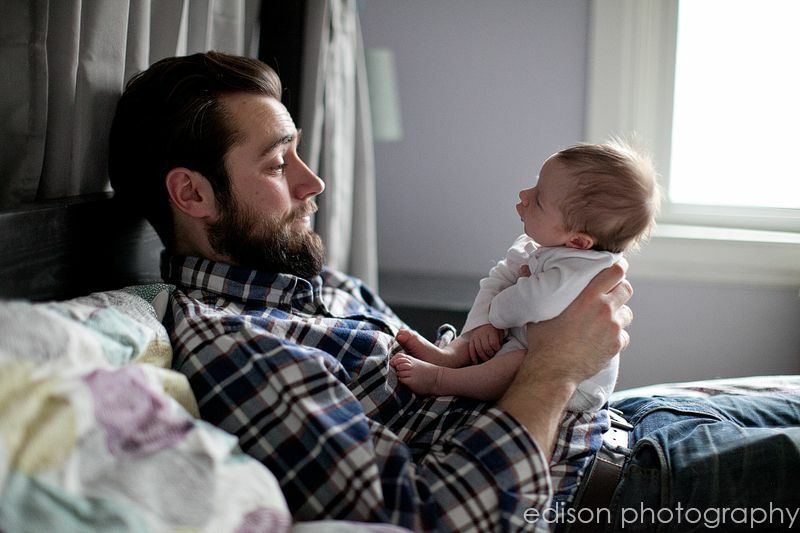 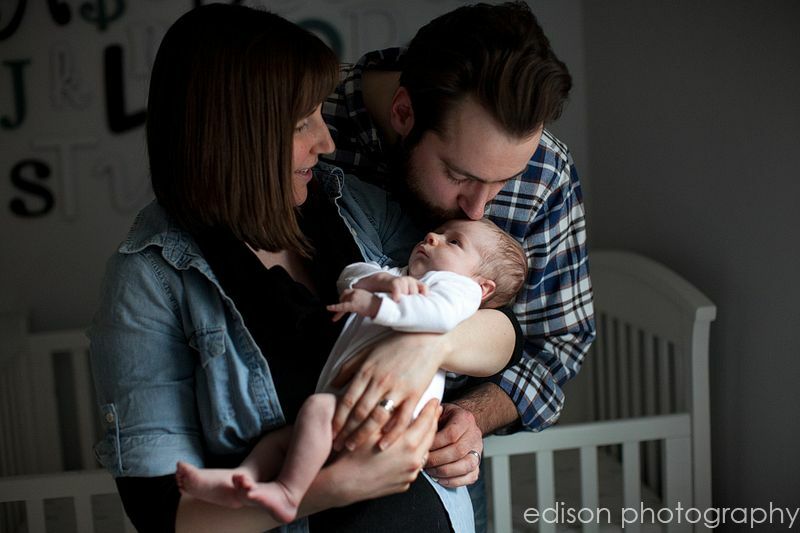 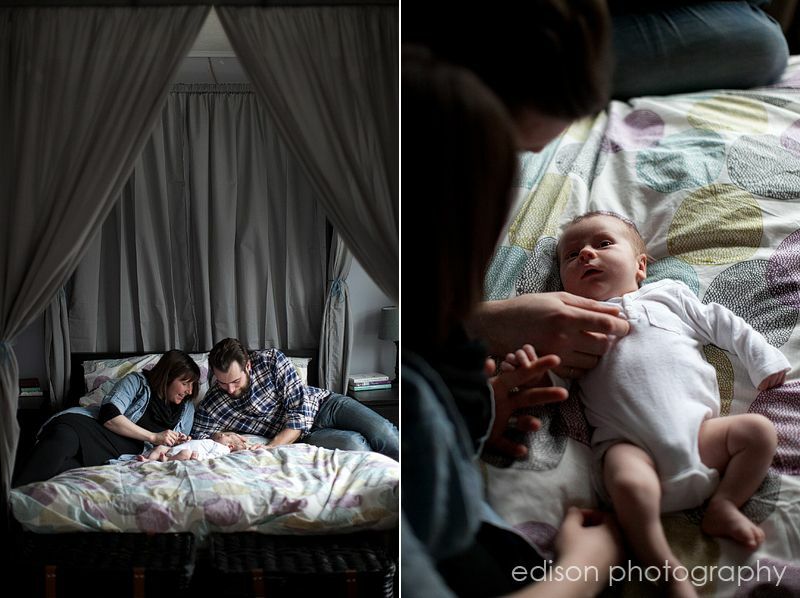 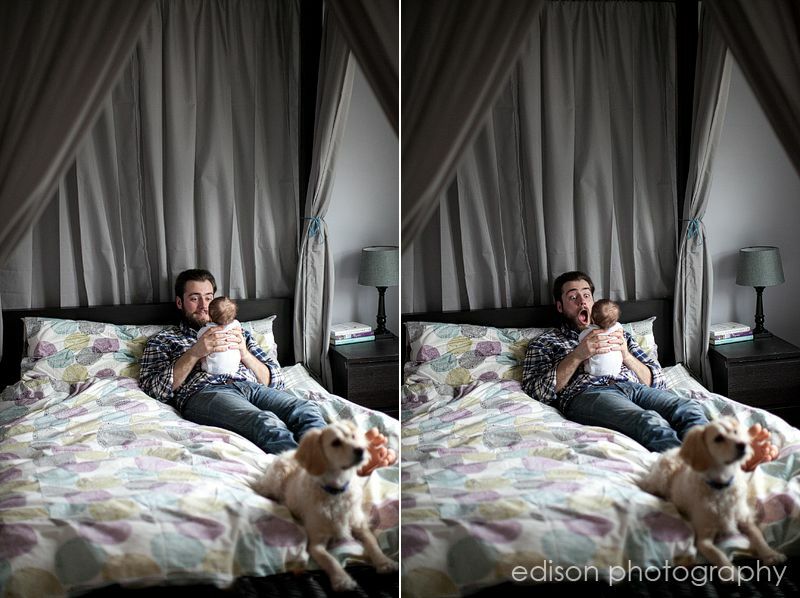 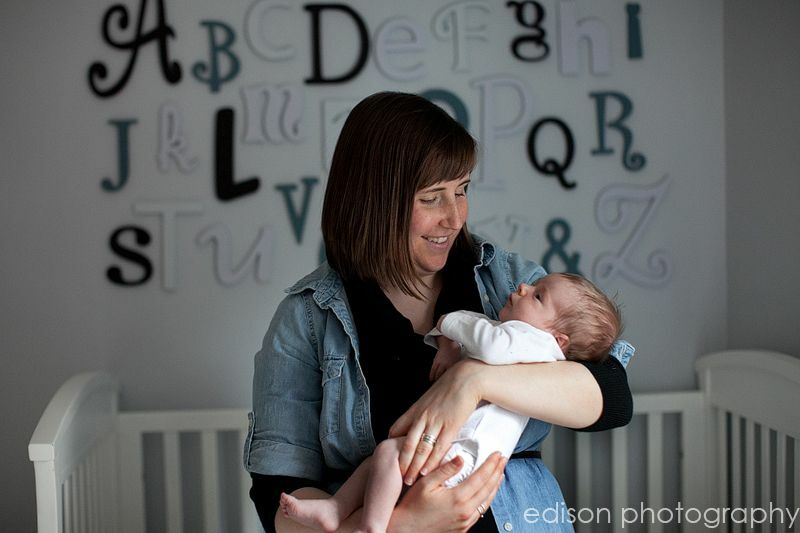 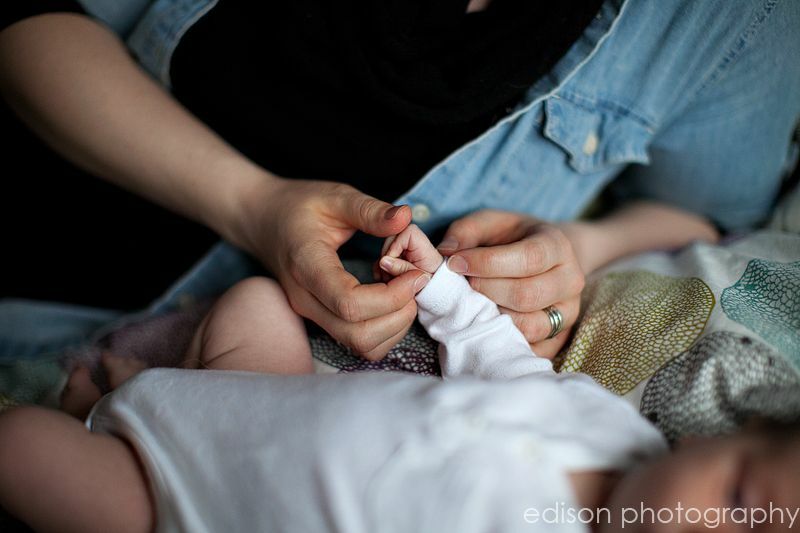 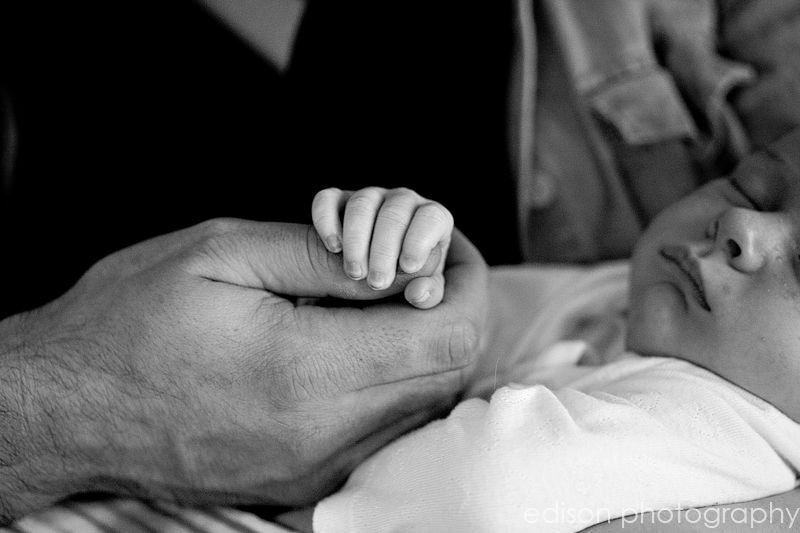 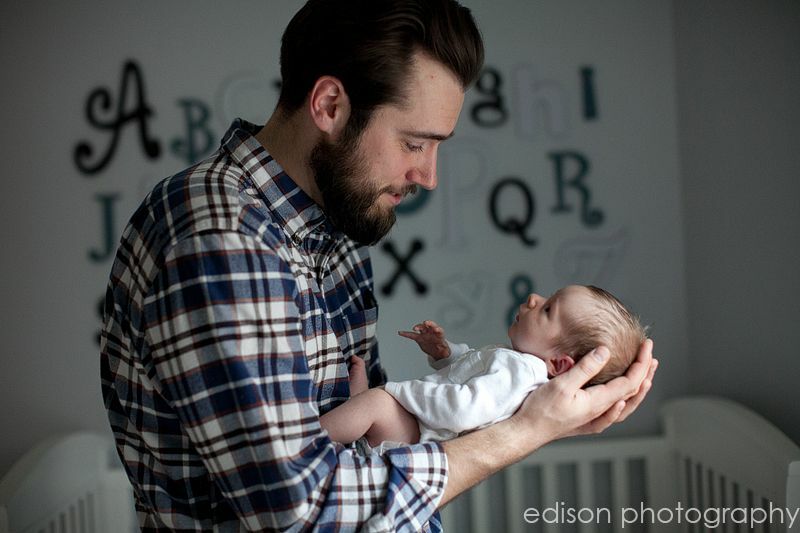 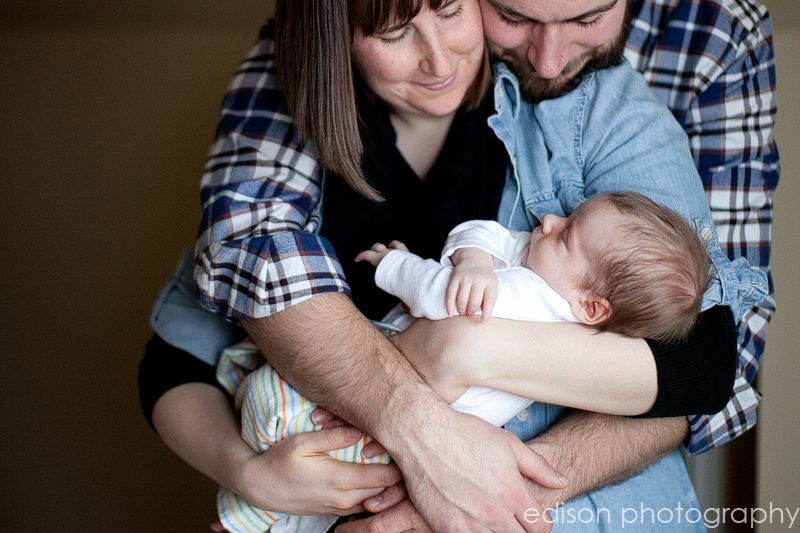 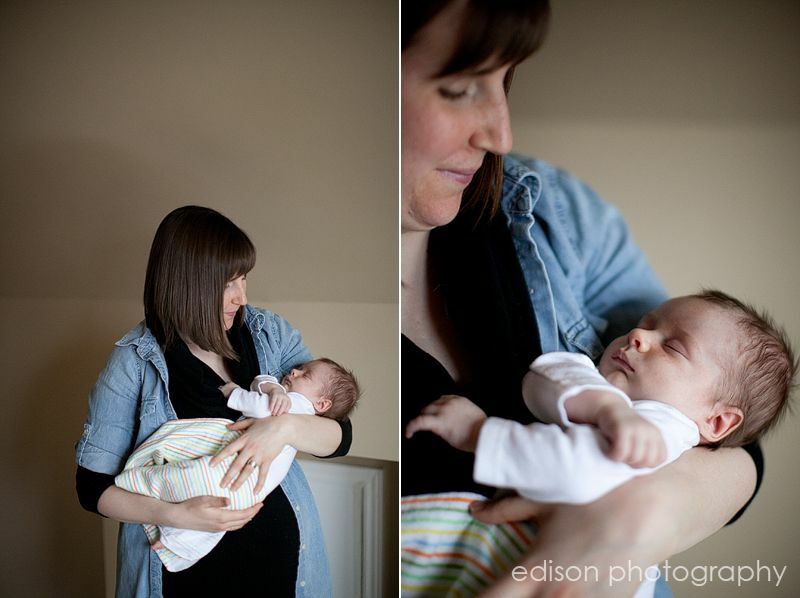 When I photograph a newborn – I want it to be natural. 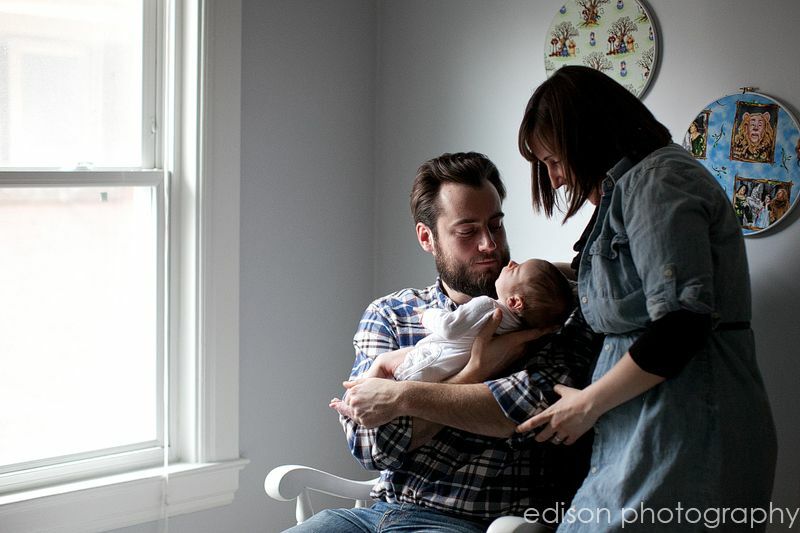 I typically did not put my babies in big hats and baskets as a new mom – so this isn’t how I want to remember those days. 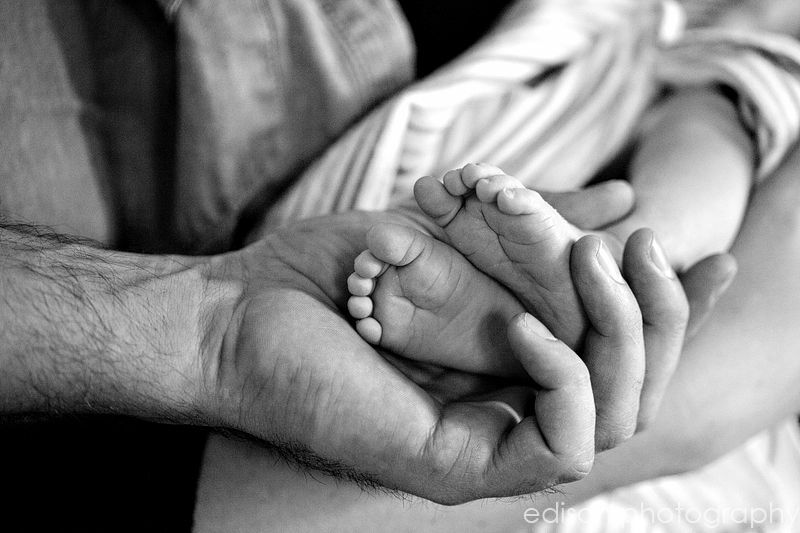 I did though spend hours rocking them, singing to them, admiring their little fingers and counting their toes. 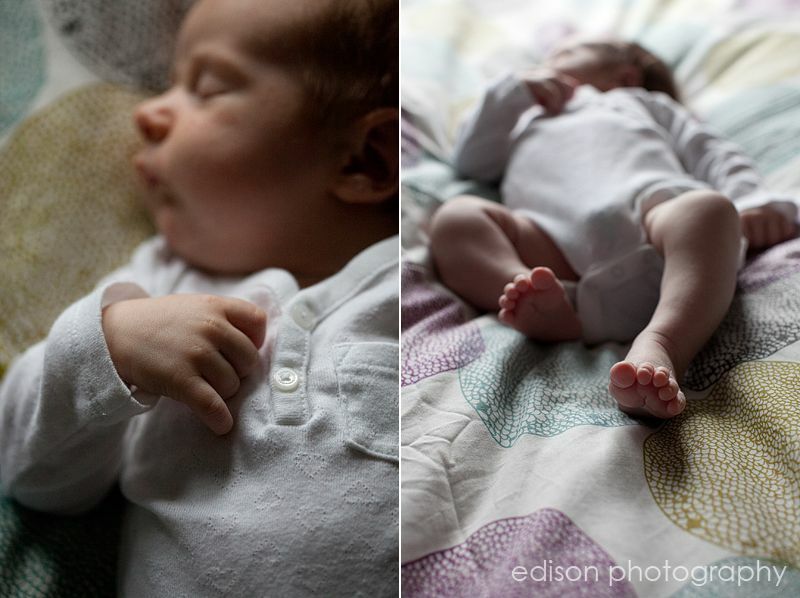 Spending days just in awe of this miracle in my care. 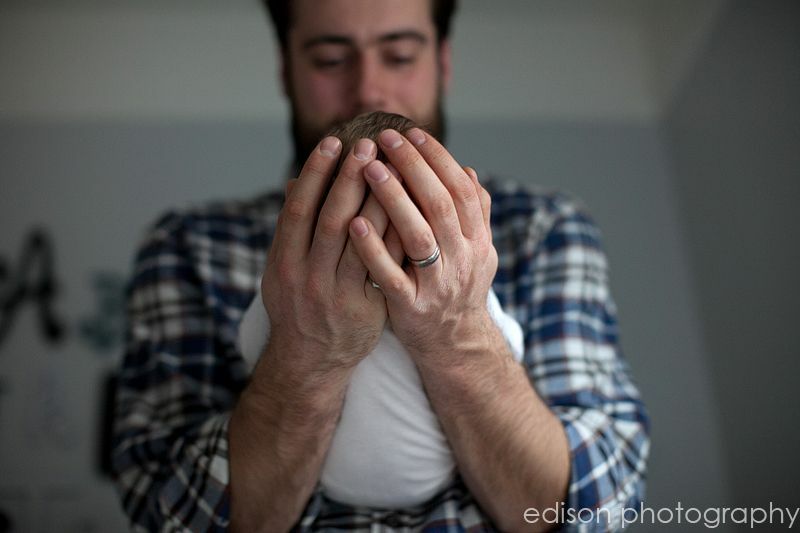 These are the moments I love to capture – as these are the moments I want to remember as a mom, and want to share with parents as a photographer.